IT Operations teams are at the intersection of digital transformation and DevOps initiatives. The theme of the upcoming Gartner IT Operations Summit is At the Crossroads of Change: Agility, Innovation & Transformation. It’s easy to see why. The ability to drive efficiency and agility in IT Ops can serve as the foundation of change within the larger enterprise. Gartner analyst and conference chair, Hank Marquis, explains why Infrastructure & Operations (I&O) teams need to overhaul their skills: "I&O skills gaps are a major problem. CEOs are calling it out, CIOs are calling it out, and it’s also fair to say that those skills gaps exist at the I&O leadership level, too. So, I&O leaders need to step up. They need to focus on changing the knowledge, skills, and abilities (KSAs) of not only their teams but also themselves." IT Operations as a Service: There’s been a lot written about the role of the CIO as a business leader and the importance of focusing IT spending on business value, not cost-cutting. Increasingly, the path to digital transformation runs through IT Operations teams, who are being tasked with delivering greater innovation and customer satisfaction. As every business strives to become a software company, it’s critical that every business unit, division, and subsidiary does not operate as an isolated, early-stage startup business. Shared IT services is not a new idea, but the idea of delivering IT Operations as a centrally-managed service, borrowing from the learnings of managed service providers, is catching on. See the write up on our recent webinar with Nancy Gohring, Sr. Analyst at 451 Research, for a summary of our discussion on both Monitoring as a Service and IT Operations as a Service. 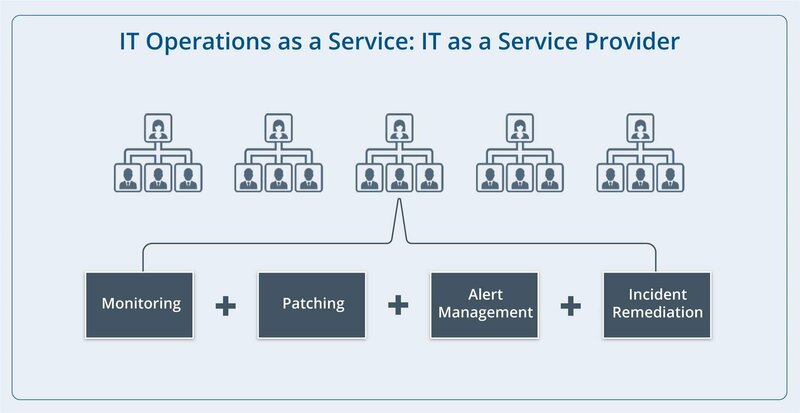 Figure 1 - IT Operations as a Service: Deliver shared services across your business units at scale. Rogue One Too Many: I don’t know if “shadow IT” is a term worth resuscitating, but with worldwide public cloud services spending touching $160 billion this year, and the rise of agile, autonomous DevOps teams, IT Operations execs need a broader framework for asset and workload visibility across their enterprise. 5 years after the Phoenix Project, there’s been an explosion of disconnected, point tools without enough enterprise-wide transparency and alignment. There’s a growing need for flexible IT governance strategies that not only advance digital business and DevOps efforts but also reign in the silos for reducing cost and complexity. DevOps Needs to Shift Up: The term “shift left” means that software development teams now “focus on quality, work on problem prevention instead of detection, and begin testing earlier than ever before.” But are the business outcomes of your DevOps journey well understood up the chain? More often than not, the answer I get to this question is a resounding, “No!” DevOps has certainly resulted in a “shift left” - now it needs to “shift up.” Many enterprise IT Operations leaders are seeking to expand their reach to focus on achieving business service-level visibility for a clearer connection to business results. Once you establish the right DevOps metrics, the question changes from, “What should be on our dashboard?” to, “Why is this metric on our dashboard and what specific business outcomes will it drive?” That’s shifting up. Infrastructure as Code: This idea is well summarized in the article, Uber: 'Infrastructure as Code' Drives Growth: “This "infrastructure as code" approach automates changes and rollbacks; it can be audited, reviewed and coordinated across platforms between on-premises and cloud.” As always, look to Martin Fowler for a great overview. Most discussions on getting to Infrastructure as Code (IaC) are followed by commentary on the need to consolidate monitoring tools and ensure that any new technology is API-first. Getting to IaC starts with complete asset and resource visibility. Then comes Unified Service Intelligence. Then comes automation and optimization. Service Providers are Service Drivers: Lydia Leong, a distinguished analyst at Gartner, notes: “For organizations that don't have a lot of cloud expertise themselves, we usually recommend the use of a managed services provider to help them get started, to make sure they are doing things the right way." In today’s hybrid IT world, we’ve gone from managed service providers to managed cloud providers, and now to hybrid service providers. What you bring in-house and what you outsource to a partner is an important component of your journey to the cloud and will impact how successful you are at accelerating digital transformation. Ultimately, ITOM is Being ReImagined. Of course, this is not a comprehensive list, but these themes align well with the Five Things You Need To Know About The Latest Technology Predictions we summarized late last year. In the enterprise, the vision of a single pane of glass has evolved to the need for a digital operations command center. But there’s a growing realization that the same old IT Operations Management and IT Operations Analytics (ITOM and ITOA) tools are not going to get you there. At OpsRamp, we’re also working with more and more customers and partners on migrating from legacy ITOM suites to modern cloud platforms. Here’s an overview of how we can help HP / Micro Focus Operations Bridge customers as an example. Be sure to connect with us at the Gartner ITOSS Summit in Orlando and follow us on Twitter for regular updates. To learn more about OpsRamp and how we power the transformation to IT Operations as a Service, download our datasheet, watch our latest videos, or schedule a demo.